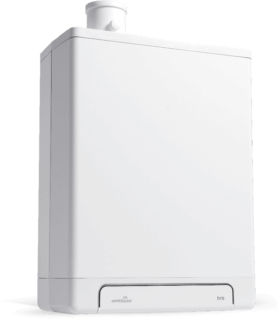 Our Combi Compact Solo HRE A is a heat-only boiler. It’s the perfect solution when you don’t need a combi boiler for hot water. What’s more, it’s simple to use with an indirect gas-fired boiler. This makes it possible to choose the combination that best matches your hot water requirements. Curious whether this is the boiler for you? Our Combi Compact HRE A is fitted as standard with a continuously adjustable control system that automatically adjusts the boiler’s power output to match your desired heating level. All the parts in our Combi Compact HRE Solo are easily accessible. Its housing can be removed from the front, so that it can easily be installed in a kitchen cabinet. It’s never been this easy to maintain an HE boiler.